Merry Christmas From Propeller Anime! You Are Already Filled With Holiday Cheer! 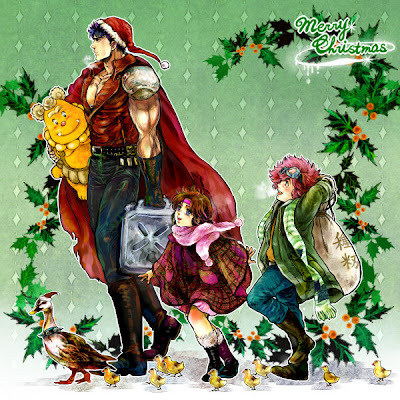 Propeller Anime wishes you a Merry Christmas! We hope you are spending quality time with your loved ones and got some cool gifts! Days like this don't come often so cherish them. 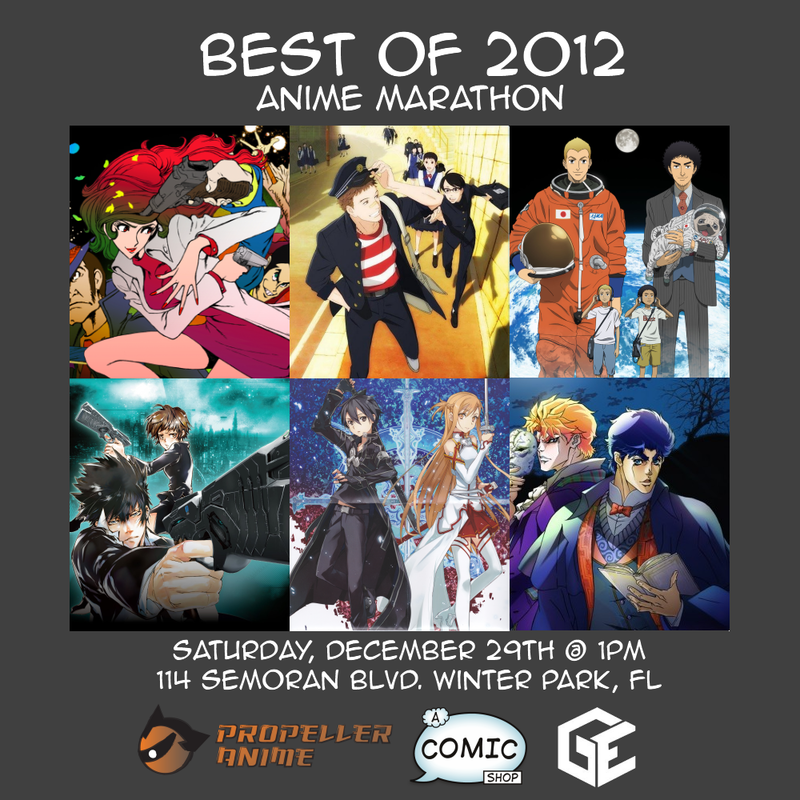 We also want to remind you that this Saturday is our "Best of 2012" anime marathon at A Comic Shop in Winter Park. You can see all the best anime series of 2012 from the beginning in one spot! The fun starts at 1PM and you can RSVP on Facebook! Best of 2012 Anime Marathon! It's been quite a year for anime in Japan! There were a lot of different shows to be excited about and a select few that could be the best of the year. We'll be showcasing the top five shows that premiered on Japanese television in the year 2012 at A Comic Shop on Saturday, December 29th at 1PM. Here Comes An Action-Packed December Weekend! 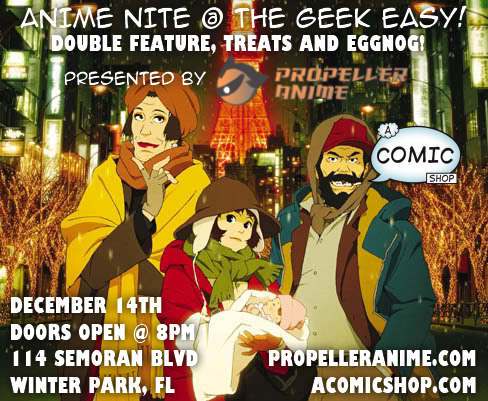 Anime Nite @ The Geek Easy featuring Kon's "Tokyo Godfathers"
That's a fantastic way to get started, but what else is there? 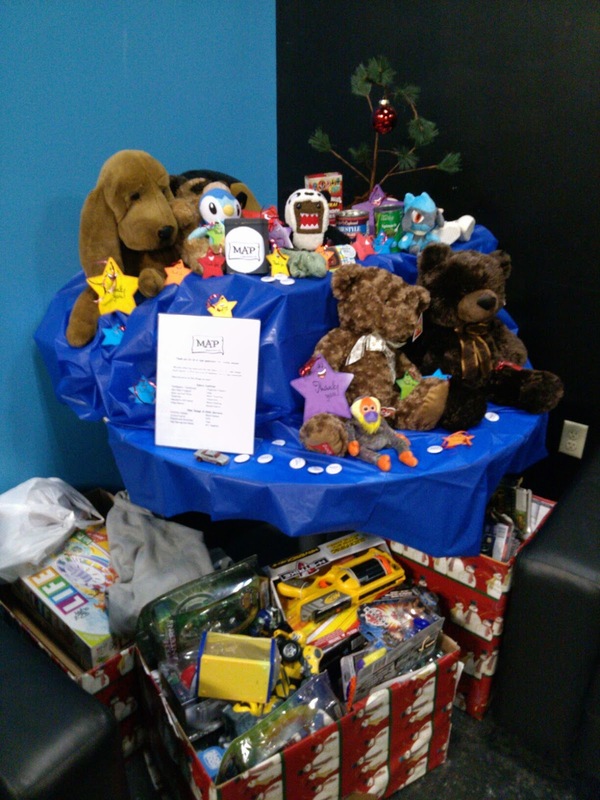 Thanks For Coming To Our Holiday Party! We did it! 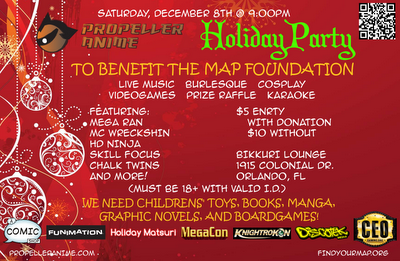 And by we, not just Propeller Anime, but all of us who came out to the holiday party at Bikkuri on Saturday night! As you can see, a lot of fantastic donations were brought in and The MAP Foundation will work hard on getting these distrusted to charities for kids and teenagers so they can have an awesome holiday! Tomorrow, We Party Hard For A Wonderful Cause! Our first ever charity event is this Saturday night! It will be our biggest party ever and the best one going on in town that night! PARTY HARD for a wonderful cause at Bikkuri Lounge starting at 9pm! 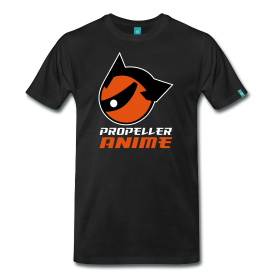 Propeller Anime On WPRK 91.5fm This Saturday! Listen to "OUR Show" on WPRK 91.5fm this Saturday at 5pm! This Saturday, December 8th is going to be awesome! 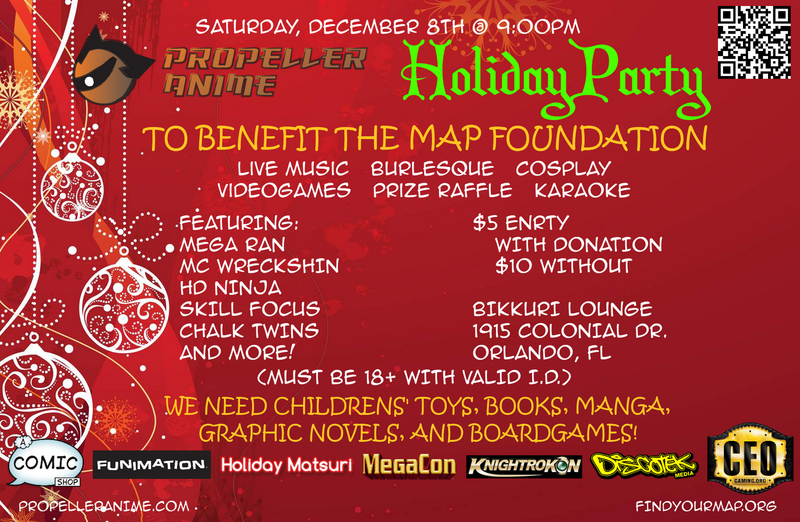 We have a fantastic Holiday Party to benefit The MAP Foundation at 9pm at Bikkuri Lounge. (RSVP on Facebook!) But before that, we'll be making a must-listen radio appearance with Mega Ran to talk about ourselves and the event! Our final Anime Nite @ The Geek Easy for 2012 will be filled with fun and joy! It will take place on Friday, December 14th at 8PM. 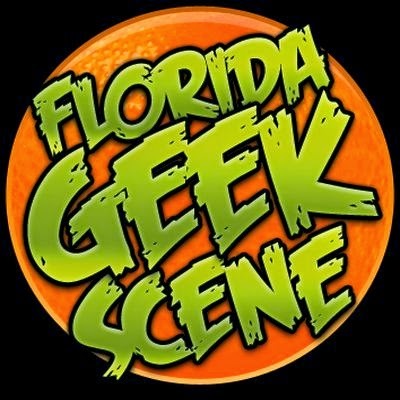 As always, it will be held in The Geek Easy in the back of A Comic Shop on 114 S. Semoran Blvd. Winter Park, FL 32792. 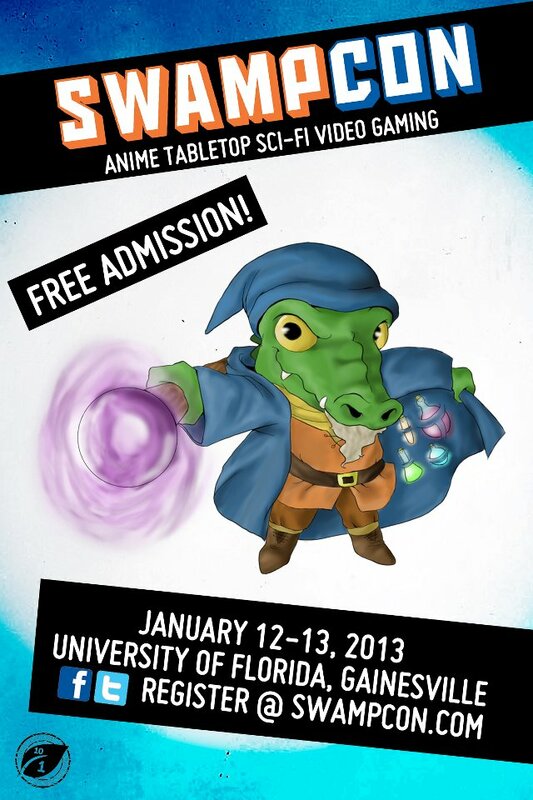 Propeller Anime & Channel Zero To Host Events At SwampCon 2013! ORLANDO, FL, December 2, 2012 - Propeller Anime, a top anime club in the state of Florida, and affiliate Channel Zero, are thrilled to announce they are hosting several events at SwampCon on January 12th and 13th at the University of Florida in Gainesville!